We believe better things are created by great designers. We HAVE BEEN PROUD TO partner only with the world's best designers and emerging talent to develop useful, aesthetic and unique objects exclusively for us. Philippe—a Canada native who’s lived and studied in Montreal, Paris and Holland—believes that good ideas emerge from the act of creating and doing. Before his own success, he worked with acclaimed British designer Tom Dixon, an experience that would prove transformative. Today, he creates conceptual designs that balance finesse, functionality and a fondness for risk. His work has drawn clients like Hem, Ace Hotel, Izé, Roll & Hill, Umbra Shift and Established & Sons. His design strategy also draws from his lifelong passions for mathematics, philosophy and world religion. As the son of Nigerian emigrants to the United States, and a resident of the US, Archibong has lived and worked in Los Angeles, Singapore and Switzerland. His work respects and acknowledges the rich cultural traditions from which he comes from and the places he has experienced over his lifetime. Aside from applying that experience and knowledge to creating minimal and refined objects and spaces, Josh is also a teacher disseminating his humanistic approach to design as the professor and Chair of the Industrial Design Department at the Rochester Institute of Technology. I think my work is rather eclectic and varied. I like that each project is totally different from all the others and that each design is a new challenge and a new way of working. Not getting stuck on one style. I like Scandinavian design, Japanese design and Swiss architecture and am influenced by many different camps. But I don't want to categorize myself in any one of them. It's like with music: I like in each style of music, different artists. Along with his wife and two other designers, Javier and Bambú are able to keep themselves at the tip of the spear in the design world. Bambú Studio creates objects that are simultaneously practical and elegant yet also playful and imbued with a certain Spanish quality. Alissia's career has taken her around the world; a Netherlands native, she cut her teeth on design at the Design Academy Eindhoven (DAE) before transplanting to the U.S. for her Master’s in Industrial Design. After a brief stint in San Francisco, she finally settled in New York, where she opened her own studio. onah certainly didn’t choose an average route; in fact, nothing about the musician-turned-designer is run of the mill. Born in Tokyo and raised in New England, Jonah grew up spending summers in Japan where he learned about his father’s career as a Tokyo architect. In high school, when he wasn’t playing in various bands with friends, he was taking AP art courses and working on a design portfolio. He knew attending RISD was a lofty ambition. Once he was accepted, the decision to attend was an easy one. When asked about his most memorable achievement, Paul says, "I’m hesitant to mark moments in the past because I’m so fixed on the future." Even so, he seems pleasantly rooted in the present, as he eases back into living in the US full-time. "I’m looking forward to being a little more firmly planted in New York,” he says, “and all the unexpected things that brings." For Brad, those words hold personal meaning—although he hails from a lineage of designers, he took brief detours into advertising and then music, before finally earning his Master’s degree in Industrial Design from Pratt. With a career spanning twenty years and three continents, Lance McGregor worked with design luminaries Tom Dixon, Matthew Hilton and Fabien Baron before founding his studio, McGregor & McGregor in 2009. Born in Tauranga, New Zealand and now based in Montclair, New Jersey, McGregor combines glass, metal, stone and marble for textural, minimal pieces imbued with a sense of whimsy. After graduating from the Rhode Island School of Design in 1990, David Weeks moved to New York with every intention of becoming an artist. After stumbling into the world of product design by chance through a job with jewelry designer Ted Muehling, he discovered a passion for metalwork that has translated into the elegant, sculptural lighting designs for which he is now well-known. In the ‘Silicon Valley’ of India, Saif Faisal Design Workshop distills the designer's diverse interests into coherent forms. Part of an emerging group of avant-garde Indian designers, Saif opposes the pervading 'Jugaad' sensibility of his culture. With skills honed in the classroom and on the racetrack, Saif’s socially-conscious design looks towards a future where tech and craft coexist. An architect and designer based in New York City, Marc Thorpe founded the eponymous design practice, Marc Thorpe Design (MTD) in 2005 after studying architecture from the Parsons School of Design. Joseph Guerra and Sina Sohrab met at a house party. At the time, Guerra— an LA native— and Sohrab— born in Iran and raised in Detroit— were students at RISD (the Rhode Island School of Design). 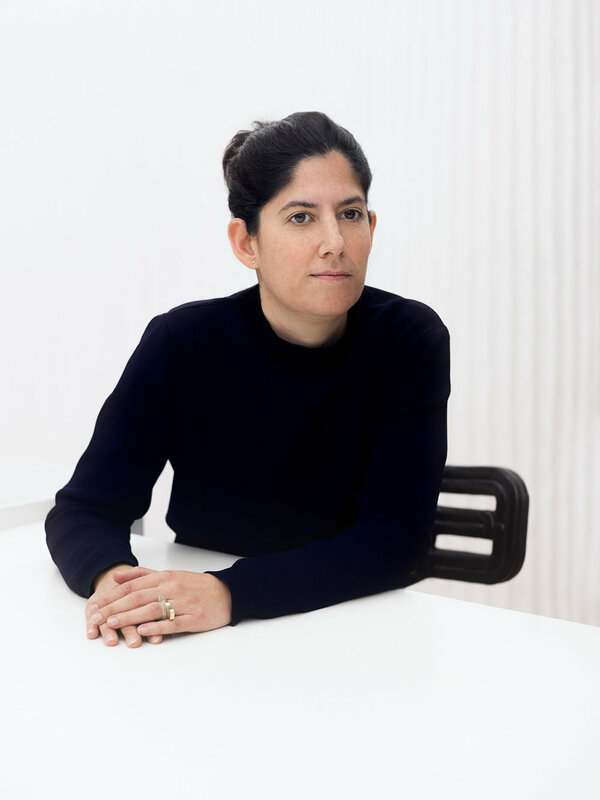 After earning a degree in architecture, Chicago native Felicia transplanted to Milan where she worked with design luminaries Antonio Citterio and Piero Lissoni. She currently works as Director of Graduate Studies in Industrial Design at University of Illinois at Chicago, and produces work under her brand, fferrone. Joe’s diverse portfolio ranges from furniture to technology, jewelry to toys, architecture and more. His ability to work across disciplines, and belief that design should play a larger role in innovation and problem solving, has positioned him one of the most wanted designers in the world. In 2014, Joe was hailed as “a living blueprint for the 21st century designer” by Forbes magazine. Though Sebastian—once a student of the Royal College of Art—got his start producing objects for himself, one of his first projects out of school earned him early success (and landed a place at New York’s Museum of Modern Art). Buoyed by that achievement, he founded his studio shortly thereafter; since then, his work has soared. The designer’s portfolio is filled with everything from playful housewares to functional cookware, encompassing frying pans, corkscrews, kettles, tabletop items, lighting and more. International clients, spanning a range of fields, include Tefal, MUJI, Habitat, De Beers, Moulinex, Vitra and Swarovski. As the designers behind Fort Standard—a multidisciplinary design studio known for its warm, contemporary aesthetic— this proves consistent. Since 2011, the pair, friends from their days as students at Pratt, have masterminded welcoming store build-outs for brands like Warby Parker, Fjällräven, and Harry’s Corner Shop; all the while, their trivets, candle holders and versatile range of furniture have found success internationally. There is no such thing as mere coincidence at the trio’s Stockholm-based studio. Every detail is the result of a thoughtful creative process in which function plays a central role. Take the large glass windows at the studio’s entrance, for instance. Not only do they lend character to the space, they’re also a major source of sunlight in a city that spends half the year in gloom. Founded only two years ago, Everything Elevated seeks inspiration in the earliest human tools. They describe the lemon juicer they created for OTHR, for instance, as one part hand, one part lemon, and one part 3D printed object. It’s a tool that reflects a theme of contrast that’s deeply embedded in their work—theirs is a space where nature meets construct; a thoughtful process trumps speedy production; and time-honored methods of manufacturing meets cutting-edge technology. Todd, who’s worked out of the Brooklyn Navy Yard for seven years, speaks about this partnership—and all other projects he’s had a hand in since—with the articulate ease of a designer whose every endeavor is the result of much deep thought and attentive, well-informed problem-solving. With 20 years of experience (including nine years working overseas), the New York native is now at the helm of his own strategic design practice, with clientele including 3M, Cappellini, Issey Miyake and Herman Miller. Browsing the pages of his portfolio, one will find everything from staplers to streamlined furniture, lighting fixtures to full-blown interiors, website design to complete brand identities. Known for its functional innovations and an eco-friendly approach, Berteau's work has spanned many years and disciplines. Since 2002, he has developed products, interior designs, and buildings for leading brands. 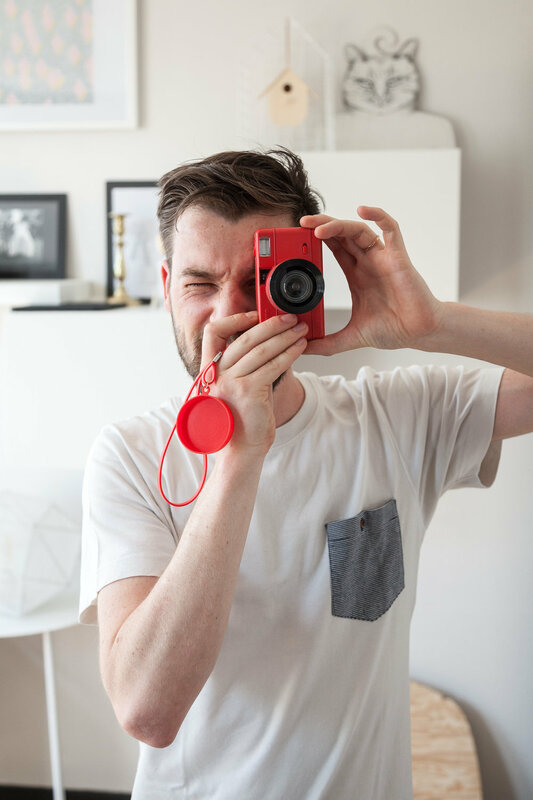 He co-founded Objekten design studio, and was a recipient of the IF and Red Dot awards. His work is part of the permanent collection at the Design Museum in Ghent. \Based in Montreal, Canada, Zoë operates her eponymous studio. Her sculptural and intuitive approach to furniture and objects allows her to explore color, material, form and texture. This is counterbalanced by a curiosity and desire to create functional objects that can endure. She currently teaches at University of Oregon. An industrial designer at the crossroads of function and aesthetic, Quentin de Coster's unique design approach is characterized by a continuous observation of people’s habits and rituals. Translated into projects that exceed mere functionality, Quentin's designs aim to add meaningful detail into people's lives, taking advantage of the innate physical and tactile qualities of each material. A young French designer, Tim Defleur divides his time between Lille, where he lives, and Brussels, where he works. After earning his degree in interior design, he studied Industrial Design at the International School of Design in Northern France. Now, aside from working in Alain Gilles’ studio, Tim pursues his own projects; developing his own vocabulary and vision.